Anyone able to make it work? No. 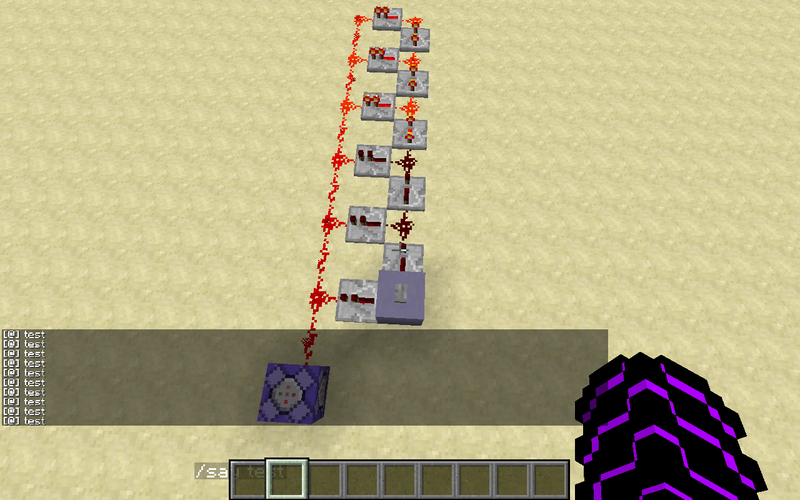 1.9 still allows numerical ids for this and you can see it has the same effect. The amplifier has been nurfed it seems to prevent mistreatment of complete blindness. 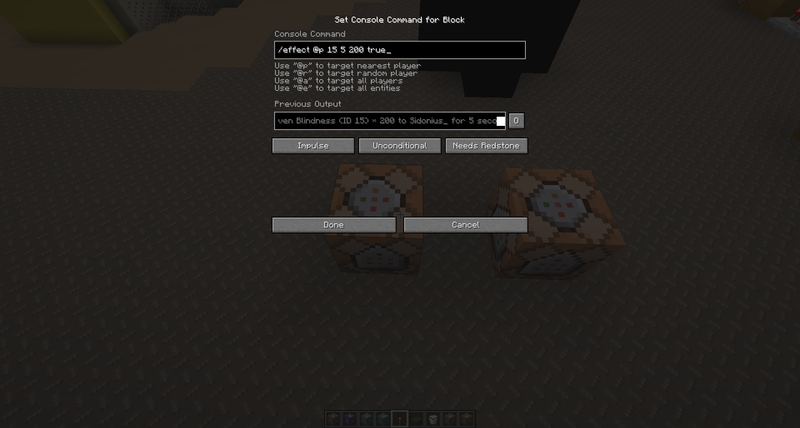 Didn't know you could tab in command blocks now. Thats useful. Also that does not work for me, its the same effect. For creating a Halo 3 style Respawn for projects Im working on. And, while you didn't really help, you did give me some ideas. If you don't need the offhand slot when they're respawing you could add a cust model to that slot and make the Fps size of the model cover the entire screen (although I don't know if it can be that big). Im not sure what you mean. It's looks good! But I don't understand how you got the color of the respawn pod to be so dark, like did the Invisiblity have anything to do with it or am I missing out on something? Changed the Obsidian texture to a 1x1 pixle 100% black texture. Clear removes any armor and items. Invisibility removes the player's skin. 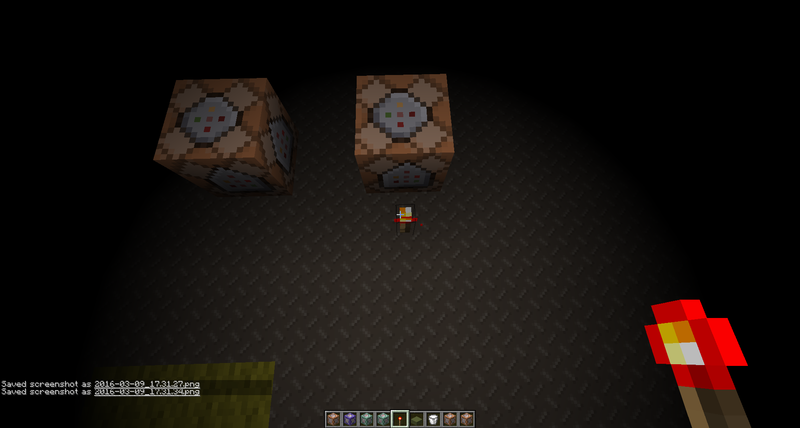 Resulting in all that's left is the hotbar and the crosshair. 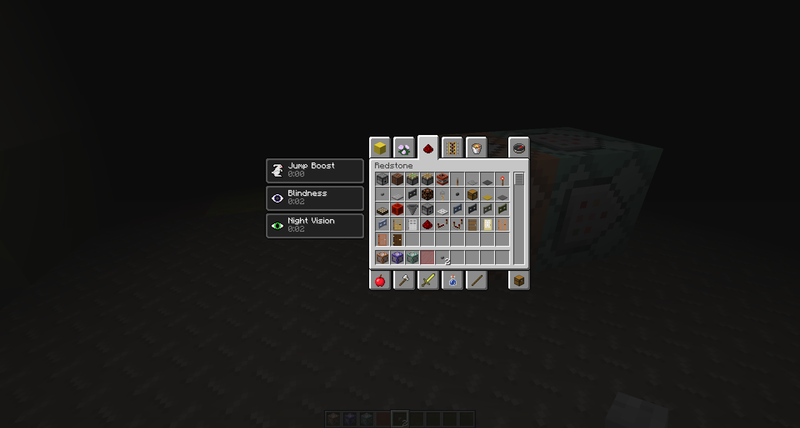 Are the sounds from a resource pack? Sounds great. A custom Resource Pack that will go along with the map. 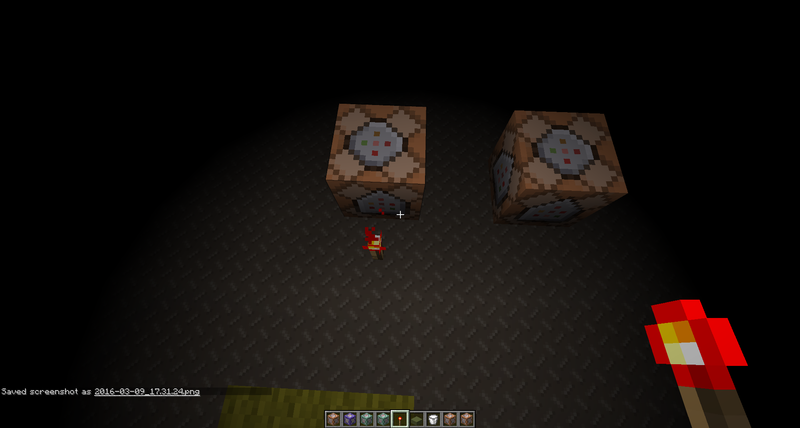 Each map will have its own dedicated Resource Pack. Sounds are legit game sounds, I didn't make them, just edited them. The piston sounds amazing. It does sound cool. So all maps will be like different levels? (Sorry not knowledgeable about Halo) Couldn't you make an "online" version, bascially multiplayer PvP? That'd be really cool. 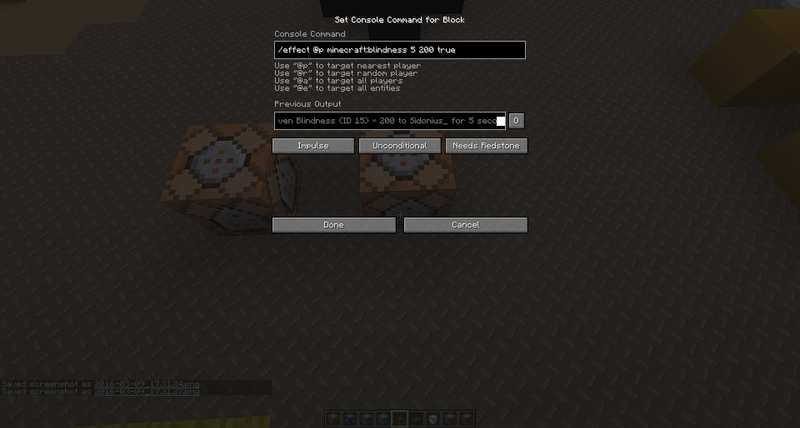 Also, I hope you don't have the commandBlockOutput like that always, but only when checking things. Each map will be on different saves, so yes like different levels. To help performance, file sizes and to give more options for players. Different game types like Slayer, Infection, CTF, will be baked into each map the best it can be.